African leaders from 44 countries out of 55 signed and launched the African Continental Free trade Area (AfCFTA) during the 10 Extraordinary Summit in the capital Kigali. The other two legal instruments are the protocol to the Treaty establishing the African Economic Community relating to free movement of persons, right of residence and right of establishment, and the Kigali Declaration, of which the majority signed. Nigeria, Eritrea and Burundi boycotted the historic signing. 43 countries signed the Kigali Declaration, 44 countries signed and ratified the AfCFTA and 27 countries signed the protocol for free movement of people. Some of the Presidents that attended include, Kenya’s Uhuru Kenyatta, South Africa’s Cyril Ramaphosa, Zimbabwe’s Emmerson Mnangagwa, Rwanda’s Paul Kagame, Gambia’s Adama Barrow, Chad’s Idriss Deby Itno, Niger’s Moumadou Issoufou. 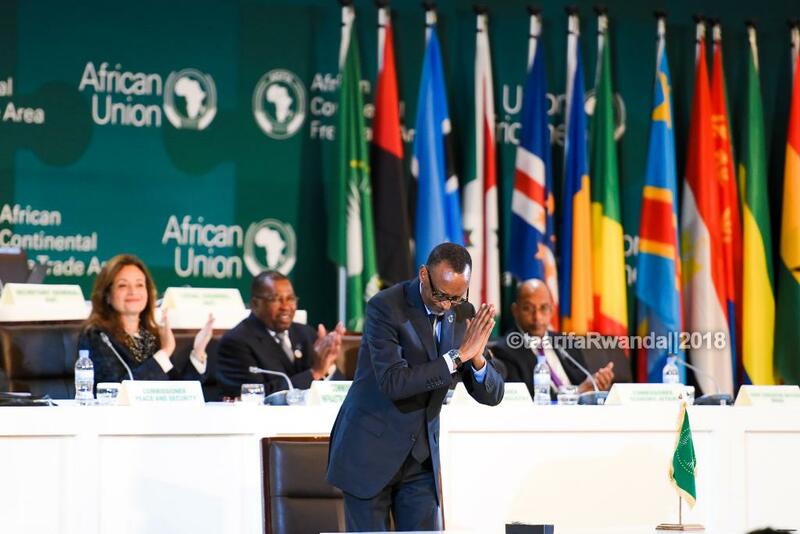 Kagame said that AfCFTA will fuel prosperity and increase value addition for good and services made in Africa. “The promise of free trade and free movement is prosperity for all Africans, because we are prioritising the production of value-added goods and services that are “Made in Africa” ” said Kagame. Meanwhile, during yesterday’s press conference President Ramaphosa echoed good news to Rwanda when he announced the end of the bad air that existed between the two countries. 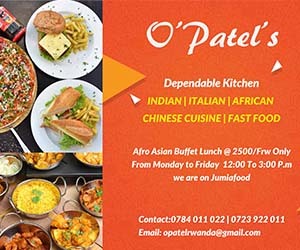 “Consider Rwanda-South Africa visa issue, as a matter that is solved. We are working with President Kagame to put relations between Rwanda and South Africa on a much better footing,” President Ramaphosa said. Fifty countries that have signed today’s attended the signing ceremony include; Chad, Niger, Rwanda, Kenya, Djibouti, South Africa, Sahrawi Arab Republic, Mozambique, Seychelles, Zimbabwe, Central African Republic (CAR), Comoros, Congo Brazzaville, Malawi, Senegal, Gambia, Sudan, South Sudan, Gabon, Ghana, Angola, Ivory Cost, DR Congo, Mali, Guinea Bissau, South Sudan, Uganda, Togo, Benin, Liberia, Somalia, Equatorial Guinea, Algeria, Tanzania, Lesotho, Morocco, Swaziland, Mauritius Tunisia, Sao Tome & Principe, Cameroon, Cape Verde, Libya, Madagascar, Zambia, Egypt, Burkina Faso, Ethiopia, Namibia and Botswana.